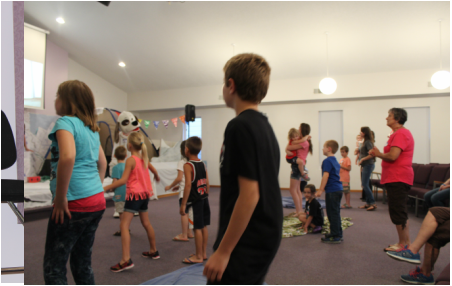 Enjoying some Praise time during VBS! Children's Church - Every Sunday morning during the main service kids ages kindergarten through 5th grade gather in the fellowship hall to have praise and worship, memorize scripture, and learn about God through object lessons, stories, and games. Sunday School-Every Sun. morning - 9:30 am.